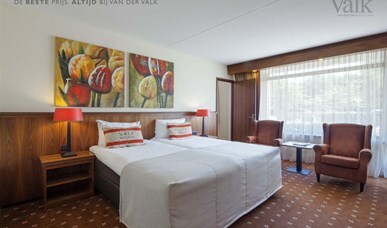 Prices are without €3.10 euro tourist tax per room per night. A la carte restaurant, terrace on the water and the cozy Silverleg Bar. Great food and drinks in a casual atmosphere. The Thialf around the corner, the Weerribben and Giethoorn within cycling distance. Your weekend away starts with us. 8 conference rooms, free parking and free wifi. Your guests are fully equipped.